Make plans for another great week in Houston, with kids! Here are the top things to do for Monday through Sunday, April 8-14, 2019! by British International School Of Houston Summer Camps, HERE! 1. All week, go to the Outdoor Roller Rink at Discovery Green. 2. On Tuesday, go to Toddler Tuesday: Frog and the Wide World at Discovery Green. This free event includes a storytime and character visit. 4. 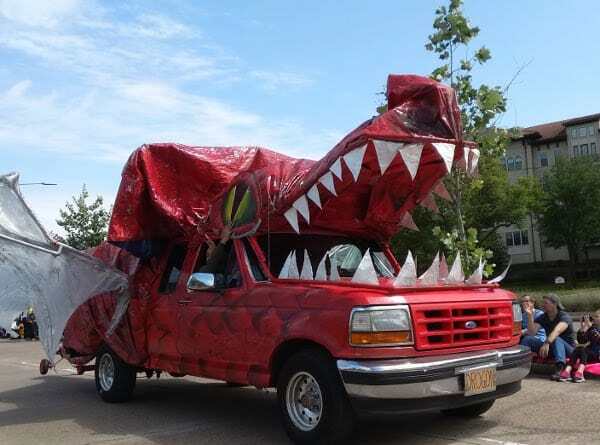 On Thursday, go to the Art Car Sneak Peek at Discovery Green. 5. On Friday, take the little ones to the Children’s Story Hour at Hermann Park Centennial Garden. 6. On Saturday, go see the Art Car Parade in Downtown Houston! 7. On Saturday, take your pets and your kids to the Blessing of the Animals & Evelyn’s Bark at Bellaire UMC & Evelyn’s Park! 8. On Saturday and Sunday, go to the Easter Eggstravaganza at Blessington Farms. 9. On Sunday, celebrate Earth Day at Discovery Green. enjoy Bayou Bend & Rienzi Family Day at the MFAH house museums. 11. On Sunday, take the kids to Goosebumps by Main Street Theater at MATCH! The Houston Zoo's Kathrine McGovern Water Play Park is Open for the Season!